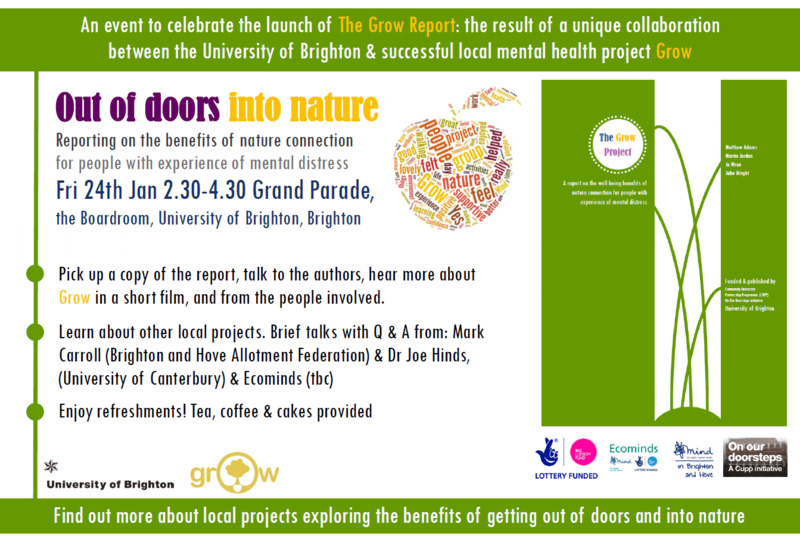 The launch of The Grow Project: A report on the well-being benefits of nature connection for people with experience of mental distress. Friday 24th Jan 2.30pm at Grand Parade. See flyer for more details. 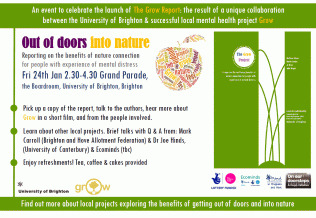 Mark Carroll from the allotment federation will be giving a short talk.